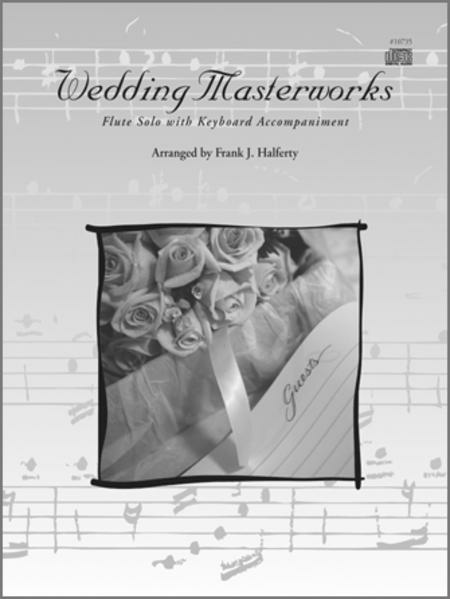 This solo with piano accompaniment collection contains 12 of the most popular classics played at weddings. One book contains everything a soloist needs for the entire ceremony. An accompaniment CD is included in each book featuring both piano and organ accompaniments. Contents include: Air (from Water Music) (Handel); Bridal Chorus (from Lohengrin) (Wagner); Canon In D (Pachelbel); Jesu, Joy Of Man's Desiring (Bach); Trumpet Voluntary (Purcell, Clarke); Trumpet Tune (Purcell) Air On The G String (Suite No. 3 In D) (Bach); Ave Maria (Schubert); La Rejouissance (from Music For The Royal Fireworks) (Handel); Rondeau (Mouret); The Wedding March (Mendelssohn); and Hornpipe (from Water Music) (Handel).